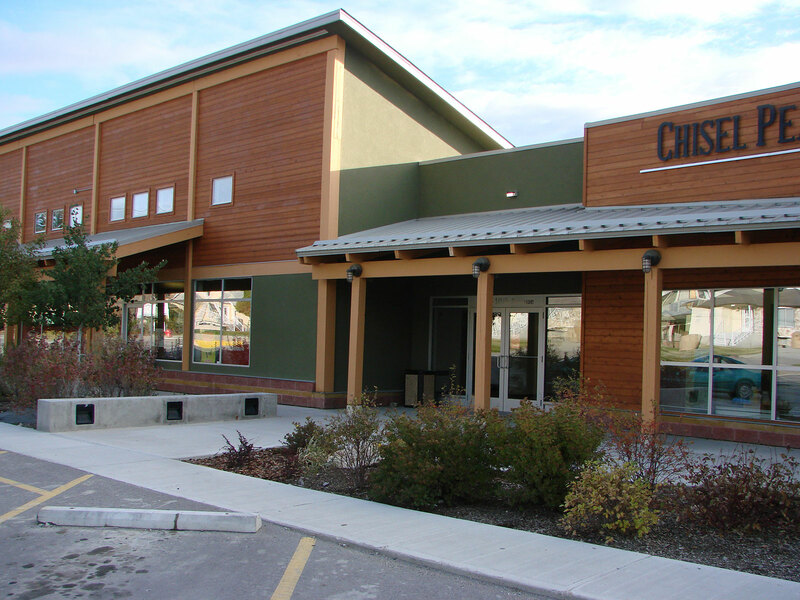 The Chisel Peak Medical Clinic is located on a corner site and has a rear lane. The public and primary building frontage to the West provides street access and parking. Views are to the West, South and East. The Clinic building was designed as a commercial enterprise with leaseable main and lower floor space as a business venture for the 4 principal doctors of the Clinic. The site slopes downward from West to East providing lower floor grade entry along the East and lane side and provides daylight opportunities for the lower floor lease spaces. This project consists of a 10,000sq.ft. (930M2) floor plate with two stories resulting in a gross floor area of 20,000 sq.ft. The Clinic component on the main floor comprises 5,000 sq.ft. 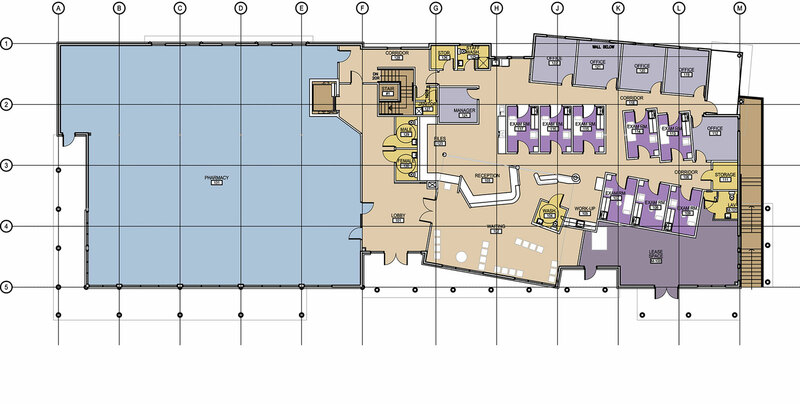 and includes private offices for 7 doctors, examining rooms, lab and general office/waiting area. A 4,000 sq.ft. Pharmacy plus common entrance lobby makes up the balance of the main floor. An elevator as well as a central stair ensures accessibility and movement between floors. The lower floor tenant space currently accommodates a Physical Therapy Clinic along with adjacent defined and available lease spaces. The building forms and roof slopes evoke the mountain setting while the canopied Western façade provides shelter and intimacy for patrons and patients as they approach and enter the facility. The clinic is designed with distinct yet subtle separation of public and private zones. The doctors enjoy business office privacy and collegiality along with the spectacular valley and mountain views while at the same time offering an environment sensitive to patient privacy with centrally located interior dual access examination rooms. 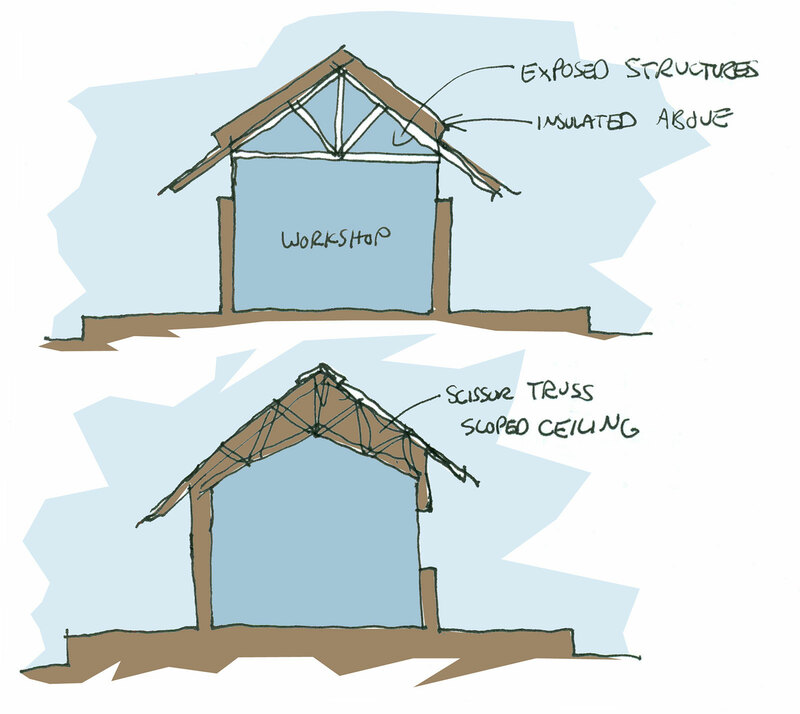 This design scheme has proven to be highly successful and is a source of constant commendation.